I love fiction, but I really love speculative fiction. Horror, sci-fi, fantasy: the best of any of these poses complex questions about the nature of humanity, what it means to be alive, and who (and how) we want to be, both as a species and as individuals. 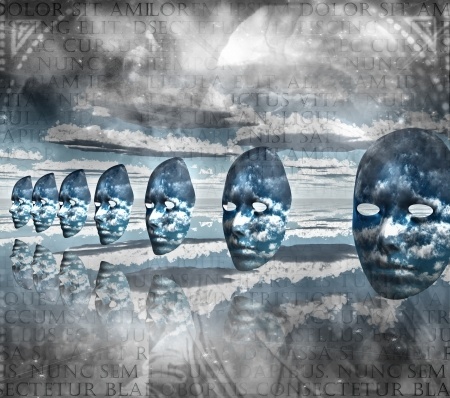 The otherworldliness of speculative fiction encounters makes it possible to delve into topics normally too uncomfortable or shameful to broach. You need look no further than Caprica, Dollhouse, or Star Trek to experience the deft interweaving of difficult moral and ethical questions into the fabric of science fiction. I was introduced to this pseudo-magical ability of sci-fi to address topical issues by Arthur C. Clark and Issac Asmimov; much later, Elizabeth Hand showed me the same can be done with dark fantasy. I am thankful to those authors, to the public library, and to my Mom who, although not specfic fan herself, never batted an eye at her strange, strange little girl. 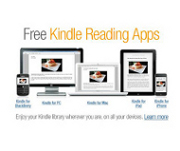 Decades and media delivery formats later, and the strange little reader has become a writer. My debut novel is strictly horror, but my work in progress is a horror/sci-fi hybrid. It’s just about the coolest thing my brain has ever thought, and I’m already working hard to get it written so I can share it with all of your brains. Just make sure you pay your power bill before you read it, because it’s scaring the bleep out of me to write it and, if I do my job right, that scary is gonna make its way to you. You’ll want the lights on – yes, even you! The house is as good as it seems. The walls are straight, the floor well plumed, the windows sealed against the winter winds and screened against the summer sunlight. The house won’t be your problem. At first, you will probably love it the way my wife and I did. We were outdoor enthusiasts: hiking, biking, camping. We spent weeks carving trails out of the woods, but the trails we found never seemed to be the ones we made. That was part of the problem. The rest of it, the real crux, are the woods themselves. I’d explain, but it would be a waste of time because you’re either from Breaker or you’re not. Someone in the first category already knows. Someone from the second: buyer beware. Your assignment is to answer this question: Would you buy the house? If you choose NO, go to page 73. If you choose YES, go with whatever gods you have. The wonderful thing about writing is that the writing itself makes life worth living. The things you see, touch, or smell can be used to add verisimilitude to your settings. Any given experience could be the catalyst for that pivotal scene in your novel where everything changes for your characters. Since you can’t know a priori what is going to matter, all of your experiences are elevated. For me, the necessity of observation is freeing and beautiful because it sweeps away existential angst. Maybe I don’t know what my individual purpose is, and perhaps I can’t even be certain I have a purpose. However, being a writer makes it possible for me to accept that whether or not there is a point is besides the point. My dedication to writing is a self-made purpose that is independent of an existential imperative, buy-in from a higher-power, or fate. With practice, I believe the act of observation can imbue even frustrations with meaning. Okay, yes. Some meetings I attend feel like waste of time, but they’re a perfect place to watch people interact. Given my imagination, it isn’t difficult to translate what I see in the conference room to what would happen to those same type of personalities given different, more extreme circumstances. On bad days, I can sit in traffic a total of two hours. By leveraging my powers of observation, that time isn’t lost, either. When it’s not over a hundred degrees, I roll down my windows. I listen to the machinery of the cars, the horns, the shouts. I watch the body language of the couple talking in the car in front of mine: are they arguing, making love without touching, staring out the windshield in desperate boredom? 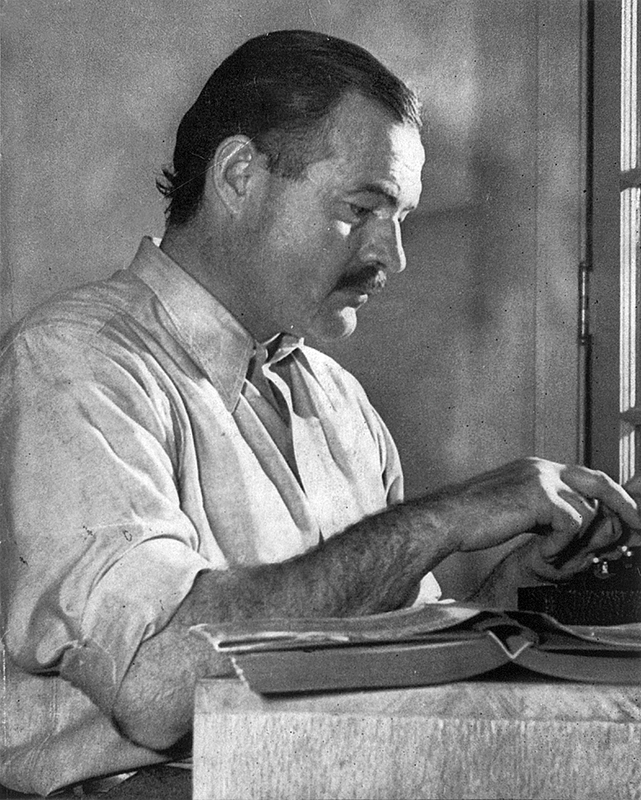 Once, when Hemingway was out with a friend, they saw a dead dog near the train tracks. The carcass was not fresh, and Hemingway’s companion was quick to avert his eyes. Hemingway, writer that he was, declared it our duty to look clearly at everything and to see the triumph in even the nastiest signs of mortality. He understood that active observation is the key to writing. Papa knows best, kids. Just don’t expect your non-writer friends to condone your dallying with the partial remains of deceased animals and you’ll get along fine, I can feel it. In theory, I can observe in any situation. In practice, I tend to be swept by waves of emotion and lose the serene bit of detachment necessary to conduct useful external observation. Yet even noting my own emotions is the sort of observation that can – has – made an impact on my ability to depict realistic characters. Awareness isn’t a new idea or one specific to writers. Indeed, entire life philosophies are built around the concept of mindfulness. I do think that if you’re a writer, you’re duty-bound to be an observer, regardless of religious or philosophical bent. Andrew Hudson asked me if I am a pantser or a plotter. For those not up on the lingo, please forgive my deliberate use of cliché and allow me to define a ‘pantser’ as a person who writes by the seat of her pants. A pantser does not adhere to any sort of outline-first, write-later stricture. A plotter is the opposite of a pantser. As I told Andrew, I’m a pantser. I have bright flashes of insight prior to beginning a writing project, but these aren’t held tight to any particular plot. During the weeks or months of drafting, everything and everyone I encounter might reveal a bit of the story I’m trying to tell. It feels like I’m on a scavenger hunt that doesn’t end and where the boon for my quest is always leading me to yet another fascinating quest. It’s enlivening. It’s fun. And, best of all, it’s all right here, every day – life actual! The alchemy of writing transforms the base lead of life into something golden, pure, and transcendent. As a writer, it is my sacred duty to pass these transcendent revelations to my readers. Might there be a bit of dirt mixed in with the gold? Of course. I may be a writer, but I’m still human. However, I am dedicated to refining my observations into increasingly high-quality stories. How? By practicing observation and being open to the whimsy of truth. The stone tree was leafless, its whited branches twisted by winds long since stilled. Conscious of the woman’s stare and the rows of gnarled trees surrounding them, Genny led Linnae around the back of the car. Together they accompanied Malcolm to the petrified tree. “I want to go home,” Linnae said. “There’s nothing to be scared of. See?” Malcolm said. To show her, he touched the tip of the branch closest to him. Linnae made a frightened noise. It was the same vulnerable noise she made when a bee landed on her their first night away from home. Genny had been unable to move, certain that if she did, the bee would sting Linnae. The insect traversed the back of Linnae’s hand before performing a terrifying ballet on the tender skin between her thumb and forefinger. Then the bee took flight, and Genny had hugged her daughter. She remained full of relief even when she felt the sharp jab of the bee’s stinger and the burning rush of venom. The back of her neck was still itchy and swollen. “We can’t let her grow up terrified of trees,” Malcolm said. “I don’t want a picture,” Genny said. Genny took a deep breath, and then tried to pry herself free from Linnae’s clasp. Genny looked at Malcolm. Not without difficulty, he picked up their daughter, her paper crown shifting atop her head. Malcolm straightened her Burger King crown as he spoke calming words. Genny listened to the low cadence of Malcolm’s consolation, pretending his comfort was meant for her. Behind them, the woman flicked her fan. She waved it around in the dense heat, sighing and shuffling her feet. Genny turned, ready to snap, but the woman was looking past her, watching Malcolm carry Linnae close enough that she could touch the tree. “Don’t!” Genny said, but her warning was too late. Linnae pressed her palm to the stone bark. For a moment, everything was as it had been. Then she screamed. All the orchard’s blighted, gray leaves shook as if there were a breeze. Branches swayed, but there was nothing except the woman fanning herself. Genny dashed forward and swiped her daughter’s hand away from the petrified tree. “Stop scaring her!” Genny said, blinking at the shrewish sound of her own fear. She threw both of her arms around her father’s neck and buried her face in the front of his shirt. Over the top of her bowed and still crowned head, Malcolm and Genny looked at one another. The smell of something going rancid wafted around them and a low hum skimmed and skittered through the preternatural quiet. “You were right,” Malcolm said. “Let’s skip the picture.” He stepped around Genny to carry Linnae to the car. Genny moved a little closer to the stone tree. A shuddering darkness not unlike the liquid dark of the road’s heat mirages seeped from the bleached bark. Genny pressed her forefinger into its shadow, but pulled back without touching the tree. The stench was worse now, thick with the gluttonous smell of a carnivore still drenched in the blood of a kill. As Genny backed away, her footsteps left reddish marks in the soil as if the whitestone dust were only a bandage beneath which suppurated a weeping and bloody wound. “I don’t think so,” Genny said. The woman went over to the stand and put two peaches in a small brown bag. Then she folded the top of the bag over on itself and thrust the neat parcel at Genny. Inside, the two peaches rolled and bumped together like living things. “Will you give me a hand over here?” Malcolm called. She went over to where Malcolm was trying to get Linnae to let go of him long enough to put her back in the car seat. The girl alternated between hiding her face against her father and staring at the petrified tree. Genny touched Linnae’s arm. Linnae wriggled into her seat and sat looking out at the petrified tree as Malcolm strapped her in. When he was finished, she crossed her arms over her chest, a corpse pose. Malcolm closed the door firmly, but without slamming it. “My blood pressure is singing,” he said, the skin under his left eye twitching. “Do you want me to drive?” Genny asked. “If you’re sure,” Genny said. Malcolm opened the passenger door and gestured her inside. When Genny was seated, Malcolm walked around to the driver’s side. He passed close to the woman at her fruit stand. She was chanting, a repetitive sound that mimicked the rise and fall of the hum that started when Linnae touched the tree. Malcolm could make out only the end of the chant. “La Zalia,” she said, but it was nothing that he understood. “Sí,” she replied, and then resumed her chant. Malcolm got in the car and cranked the key in the ignition too hard and too long. In the backseat, Linnae kicked her feet against the back of Genny’s chair. It was a normal thing devoid of its normal annoyance. Malcolm put the car in gear, and backed them away from the trees. “Mommy, hear it?” Linnae repeated. “No! The tree. It’s singing,” Linnae said. Mother Nature isn’t just a metaphor. Stolen Climates – online starting 02.2012! The actress is my sister, Erika. She was willing to volunteer her time, her home, and her patience to make the trailer. When our first attempt was ruined by a technical difficulty, she happily volunteered yet another Saturday night. There were eighty-two takes before we could stop laughing enough to record the first line. Someday, I will put together a blooper reel. It’ll make you smile. Confession: Until this past Sunday, it had been nearly a year since I wrote a word of original fiction. Not that I was busy writing a pile of un-original fiction! I just wasn’t writing. I exercised, went to work, cleaned my house, walked my dogs, got Stolen Climates prepped for publication, and inexplicably dug up a large swath of my front yard, but I didn’t write. When I don’t do something for a long time, even if it is something I love, I get nervous. I find reasons to stall. All sorts of things start to fill the time that used to be dedicated to whatever it is I’m avoiding. To get out of my own self-defeating cycle of avoidance and kick-start my second novel, I joined the Twitter #WIP500 group. #WIP500 is a group of writers, each of whom has pledged to write a daily word count of 500 or more on a work in progress (WIP). Since I seem to be in the mood for confession, I may as well admit I have never tried a word count approach to my writing. I just wrote until I finished. Or until the dogs annoyed me too much. Or until I got scared of what I was saying. Or until I felt like it’d be better to go for a cupcake run (it happens!). Writing until you’re done works, but the finish date is unpredictable. No one can give a reliable estimate of how long a task will take if there are no parameters around the frequency or duration of the time to be spent working. Many aspects of publication scare me. There’s the fear that someone will rip me a new one in an Amazon review. There’s the fear that critic will be right. I’m afraid people I know and love might not like the book. I might miss the boat with my marketing and the book will not find any readers. Worse, Stolen Climates gets a readership, but I don’t have another book ready to publish for years. By then, people will have forgotten me and I will have to start all over building readership with the next novel. What I do have control over, though, is whether or not I have another novel ready to publish within the year. The sense of accountability that comes with joining the #WIP500 group has made me do what I haven’t done in almost a year: write new prose. I refuse to be that person who signs up but doesn’t deliver. I have a goal and now I also have a reasonable way to predict how close I am to meeting that goal. It feels amazing to be writing! Blaze McRob has stated that “writing is the most fun he can have with his clothes on.” I agree and I cannot imagine how it was I forgot the feeling of right-ness that comes from creating. After my second writing session, Mr. Aniko said, “You’re beaming in a way you haven’t in months!” I was beaming and, if you must know, sweating slightly. The sweat was more from the fact we were walking the dogs and I was dressed for Winter (it is January!) and the temperature was a balmy 80! The important thing to note here is that the beaming was entirely due to the writing. 4935 / 80000 words. 6% done! Fellow #WIP500ers, feel free to chime in with your experiences! I’d be interested to hear from anyone who has tried writing by word count or with a specific deadline in mind. Does it work for you? 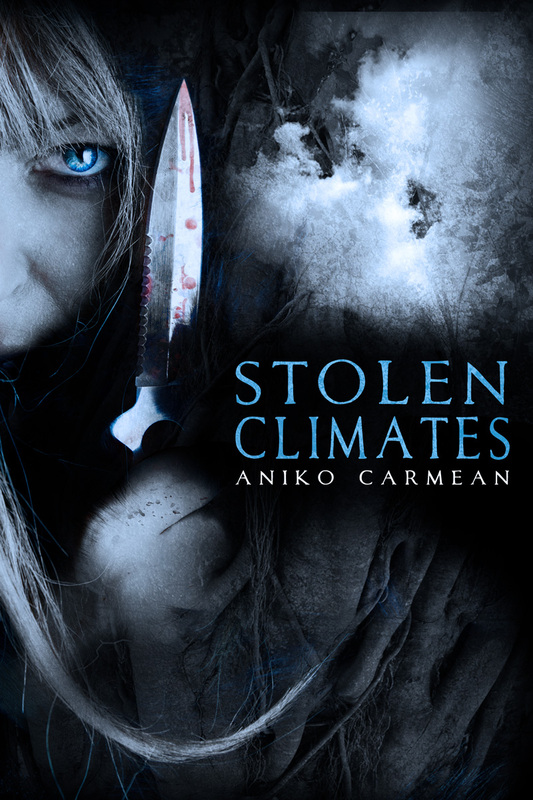 I have a crush on the cover for Stolen Climates. At the moment, I’m also crushing on Felicia Day, the Nissan Juke, and the ideas I have for my next novel. Still, it’s this cover that’s really turning my head. Trust me when I say that we are all lucky my experiments with photo editing in GIMP resulted in nothing less than disaster. At one point, I managed to combine the world’s ugliest font with glaringly mismatched colors offset by a blurry picture of a tree. It was an assault on all things artistic. It was my first indication that I might – no, I definitely needed to hire someone with skill. I had no idea what I wanted, but I knew I didn’t want to be responsible for all the deaths that would have resulted from unleashing my “design” on the world. I bounced on over to KindleBoards and started scrolling through the yellow pages. I clicked through several designers and landed on Streetlight Graphic’s site and saw that they did Lindsay Buroker’s covers. I dare anyone to tell me they aren’t impressed with Streetlight Graphic’s cover for Encrypted . It’s fantastic. It’s covet-worthy. It’s been on my list of Things I’m Crushing On for at least a few months. I held my breath and emailed Streetlight Graphics to see if they would maybe, possibly, hopefully have time and inclination to do my cover. And… they did! Not only is the cover beautiful, but designer Glendon S. Haddix is amazingly supportive. Through the many design cycles, he remained quick to respond, encouraging, and patient. Glendon reminded me that I should never feel awkward about speaking up for what is best for my book. After all, isn’t the point of going indie that you, the author, get to decide what happens with the editing, the cover, the layout? If you don’t speak up for yourself, you’re cheating the book and your future readers. Crushing on Stolen Climates? Get your hands on it starting 02.2012! Amazon, B&N, Smashwords!